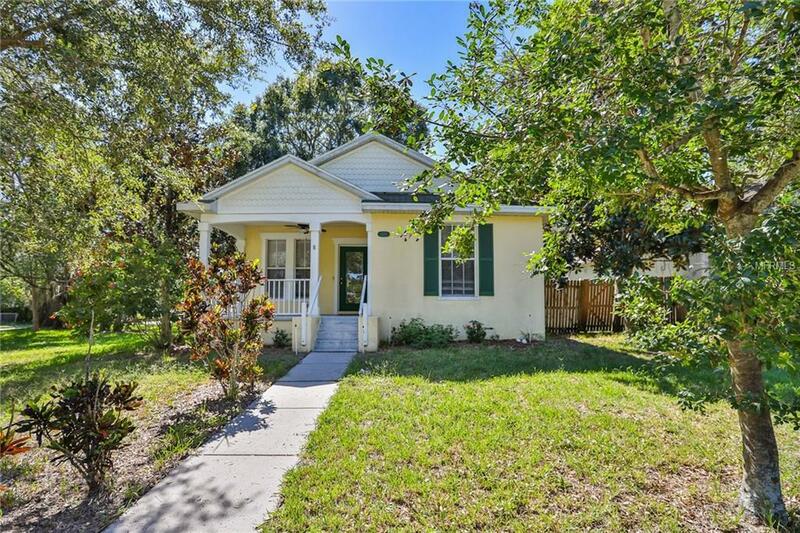 **PRICE REDUCED**Tarpon Springs home for under 200k! Fresh paint and flooring. This home is the perfect starter home! Minutes away from the historical Sponge Docks and downtown Tarpon Springs. Built in 2002, this home has all the charm of an older home with a graceful front porch, mature oak trees and beautiful landscaping. This open concept split floor plan is the perfect space for a family, out of town guests, or a lovely home office. The front two bedrooms share a renovated bathroom with a beautiful vanity. The master has a wonderfully updated walk-in shower and large vanity space. Schedule your showing today!